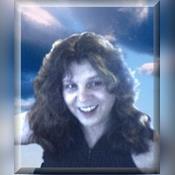 I've been reading tarot for 33 years...I'm a spiritually guided tarot reader. I have been reading tarot cards for 33 years. Although I may not always tell people exactly what they want to hear, I read the cards both honestly and accurately to the best of my ability. I believe that I do receive guidance by a higher power or spirit to help with giving you the best options available to you. although we go through tough times, I always look for ways to achieve the most positive outcome as I strongly feel that the way we choose to deal with the hard times are significant in determining our future. I also feel we are given several paths we can choose to follow. I look for the path that provides the most hope..There are many lessons to be learned from the hardships that come along...and there is always a light at the end of the tunnel. If I'm unavailable, I'd like to recommend: Celtic Rogue, Madonna27, Thorn Rosewood and Moonlight bay FOR ENTERTAINMENT PURPOSES ONLY. MUST BE AT LEAST 18 YEARS OF AGE. INFORMATION GIVEN IS NOT TO REPLACE COMMON SENSE,MEDICAL ADVICE AND OR LEGAL ADVICE. motherpeace has been a user of Keen since 2001. Getting Love & Relationships advice from motherpeace through www.keen.com is safe, secure and confidential.